One of Sean’s friends gave him a recipe for these really simple Oreo Truffles years ago and now everyone asks for them whenever we go to pitch-ins or parties. 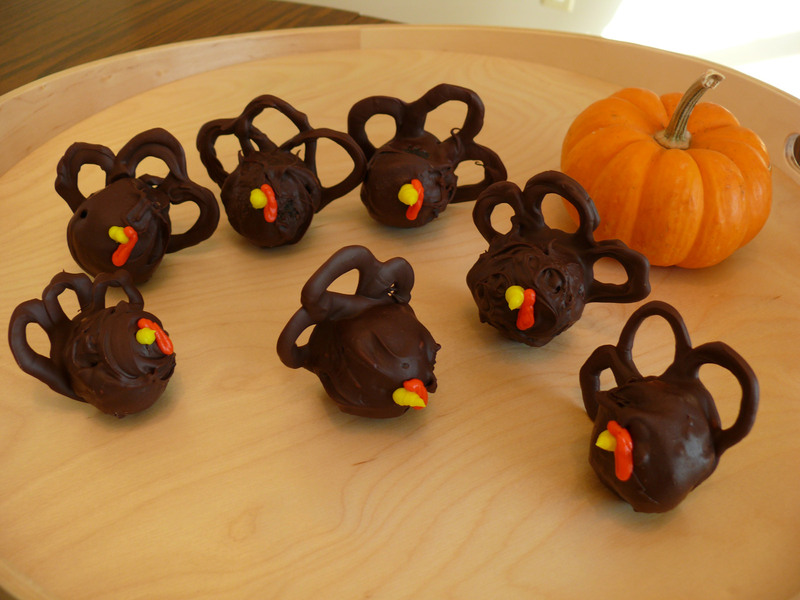 For one of our Thanksgiving get-togethers this year, we decided to make the truffles look a little more festive. If you need a last-minute recipe for a Thanksgiving-themed desert, we’ve got the perfect one for you right after the photos! Crush the Oreos in a large bowl and knead the cream cheese into the Oreos until it is all a consistent mixture. Roll the mixture into 1″ balls and place on a cookie sheet. Chill these in fridge for 1hr. 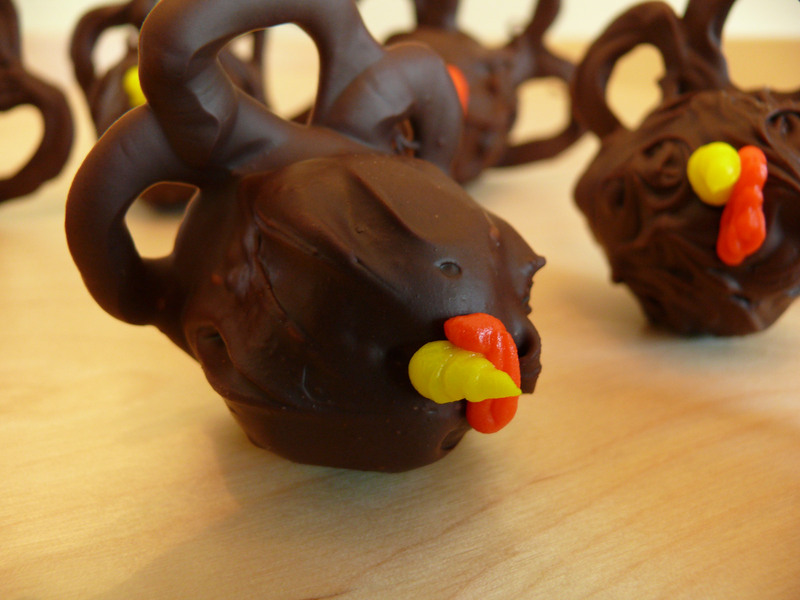 Melt semi-sweet chocolate chips and dip Oreo balls into melted chocolate to coat them. 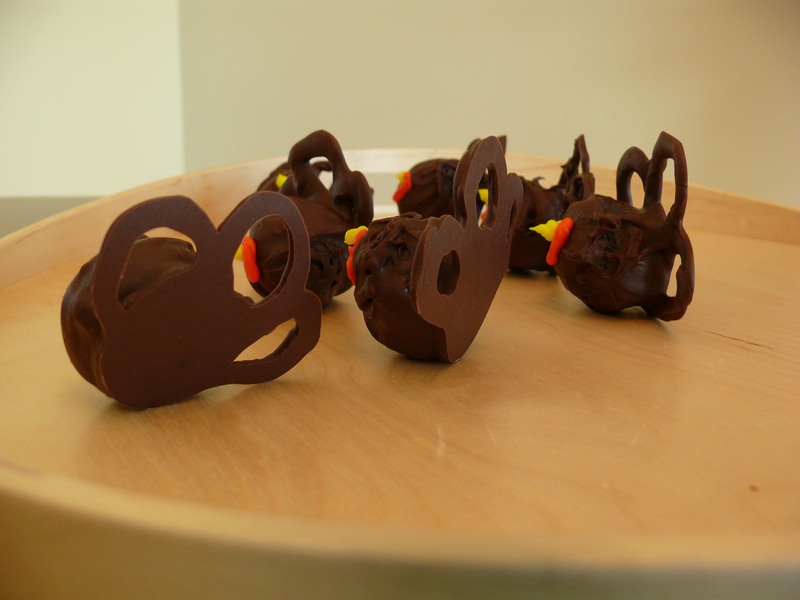 Place the chocolate-covered Oreo truffles onto the base of the tail feather designs. 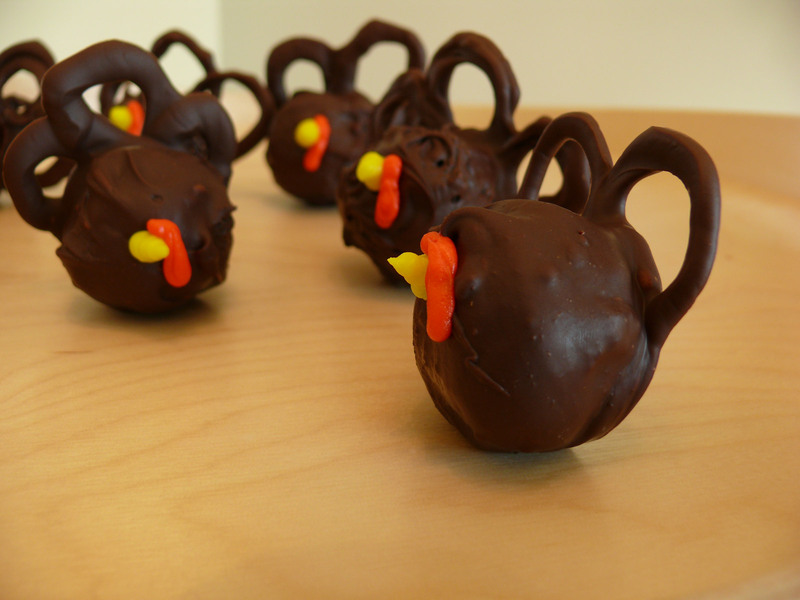 Use the yellow and red icing to make a beak and wattle on the top of the truffle. Place back in the fridge to chill. Also, if you’d like a great recipe for cranberry sauce, check out our friends’ post at www.thestricklins.com.